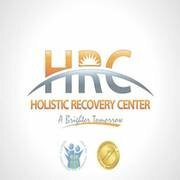 Holistic Recovery Centers is a Dual-Diagnosis Treatment Facility, treating both Mental Health and Substance Abuse. Our individualized approach and very low client to therapist ratio allows us to offer many treatment modalities. Holistic Recovery Centers is an accredited Joint Commission Accredited (JCAHO) & The Department of Children and Families (DCF) Certified. We are a Residential (RTC), Partial Hospitalization (PHP), Intensive Outpatient (IOP), and Outpatient (OP) treatment provider with community housing. Within our Residential Programs, participants enjoy a variety of Holistic features,which include physical fitness, meditation, yoga, and/or acupuncture to accompany their individual and group therapy sessions. We utilize an evidence-based curriculum that transitions our clients from a life of addiction to a life of recovery. Each client is individually assessed and a treatment plan is designed to meet his/her specific needs.